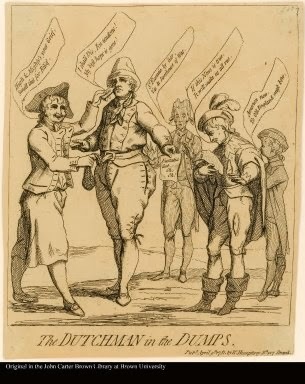 The Dutchman in the Dumps, William Humphrey, 1781, John Carter Brown Library. Once again, a British sailor becomes the embodiment of England. He tightens the belt of Holland and gives him a whiff of gin while Spain, France, and America all bemoan the state. 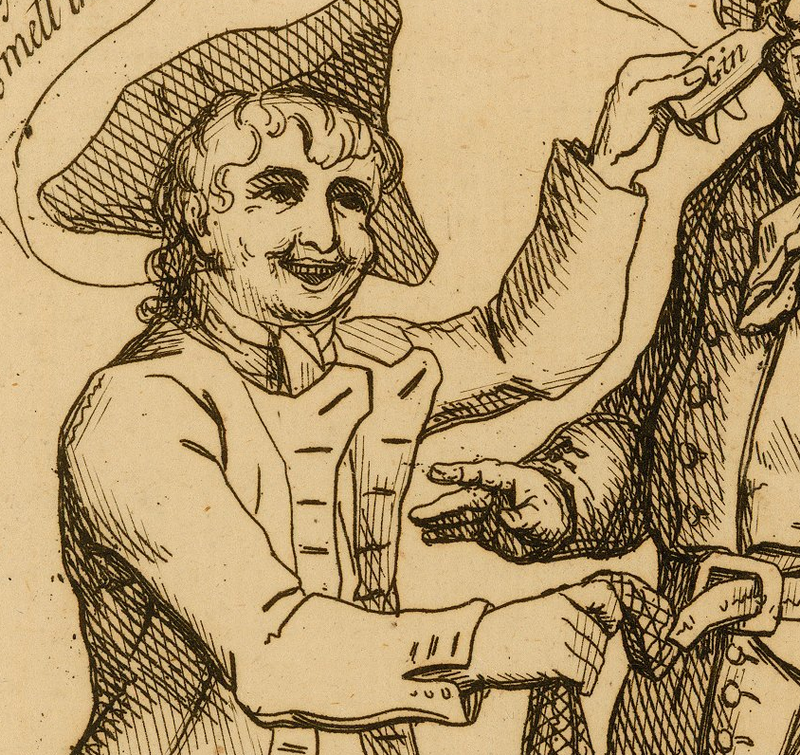 The American even goes so far as to declare "America now, to old England must bow!" The tar wears a cocked hat, tossed back until its point is quite high, and vaguely cocked to the left. It appears that his hair is somewhat longer, perhaps even in a queue. A collar peeks from beneath his neckcloth, but the neckcloth itself is largely hidden behind the high lapel of his jacket. The jacket is double breasted with slash cuffs and slash pockets, though we only see a few small buttons at his cuff. Notably, the jacket is very short, cutting off very quickly at the waist. The seaman wears no waistcoat, but only a shirt. His slops end just below the knee, showing off his white stockings, pointed toe shoes, and rectangular buckles. What sets this image apart from the others is that it is one of the latest images to show a sailor with a cocked hat. 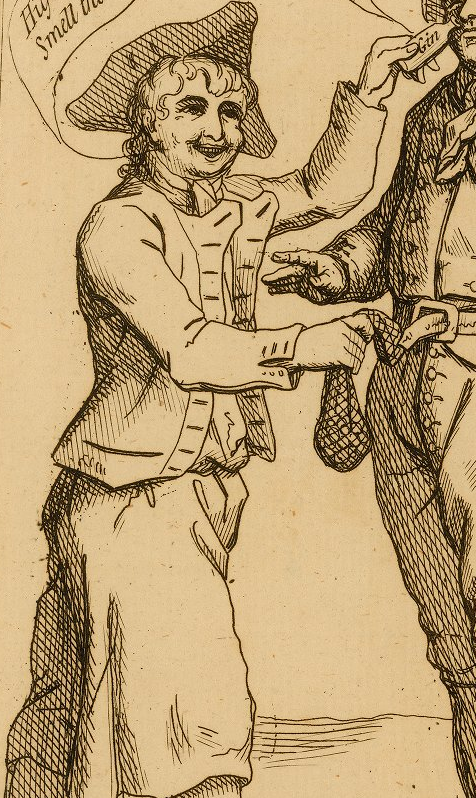 A vast majority of 1780's prints show sailors in round hats, and sometimes in knit caps, but this is an exception.